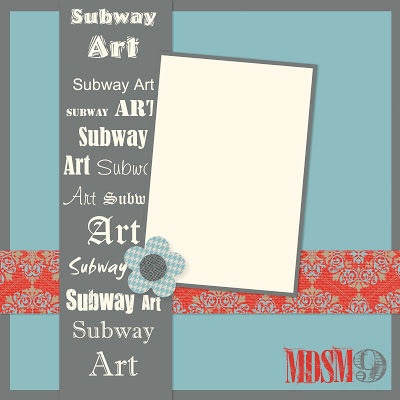 The most recent MDSMonday layout challenge was to create a layout using their sketch, but also to create 'Subway Art' which is a hot trend right now. Subway Art uses varying fonts and point sizes to create a 'word art' piece. Of course, mine is football related. I had fun putting all the words together - definitely need time to figure out how to arrange them all! 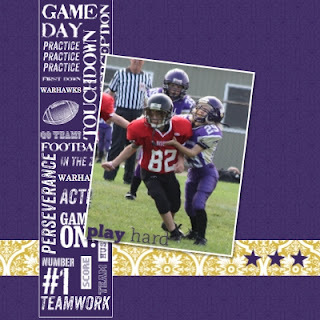 Most of my words came from stamp sets (Sporting, Touchdown and Game Day), but I did use some text boxes as well. I also took advantage of the stamp cropping function. 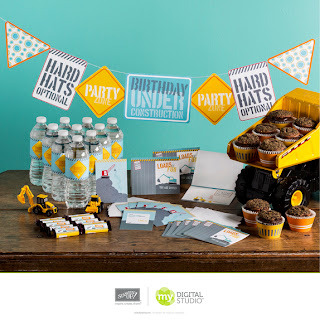 New this week as part of the MDS new downloads is a Birthday under Construction digital kit, and a coordinating freebie! And, in case you missed the news, the full MDS software is now available for the bargain price of $24.95!! You can still try out the program for free for 30 days, but with the full price this low, you can't go wrong!! Fabulous subway art, and I love your color scheme! Thanks for joining MDS Monday this week.